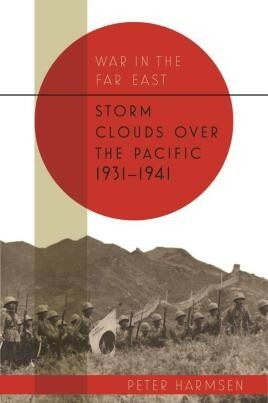 First in a trilogy of books comprising a general history of war in the Asia Pacific, from the origins of enmity between Japan and China, through Japan's ascendancy in the early years of World War II. War in the Asia Pacific is a trilogy of books comprising a general history of the war against Japan; unlike other histories it expands the narrative beginning long before Pearl Harbor and encompasses a much wider group of actors to produce the most complete narrative yet written and the first truly international treatment of the epic conflict. Peter Harmsen uses his renowned ability to weave together complex events into an entertaining and revealing narrative, including facets of the war that may be unknown to many readers of WWII history, such as the war in Subarctic conditions on the Aleutians, or the mass starvations that cost the lives of millions in China, Indochina, and India, and offering a range of perspectives to reflect what war was like both at the top and at the bottom, from the Oval Office to the blistering sands of Peleliu. Storm Clouds over the Pacific begins the story long before Pearl Harbor, showing how the war can only be understood if ancient hatreds and long-standing geopolitics are taken into account. Peter Harmsen demonstrates how Japan and China's ancient enmity grew in the late nineteenth and early twentieth centuries leading to increased tensions in the 1930s which exploded into conflict in 1937. The battles of Shanghai and Nanjing were followed by the battle of Taierzhuang in 1938, China's only major victory. A war of attrition continued up to 1941, the year when Japan made the momentous decision for all-out war; the infamous attack on Pearl Harbor catapulted the United States into the war, and the Japanese also overran British and Dutch territories throughout the western Pacific.